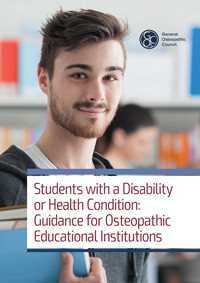 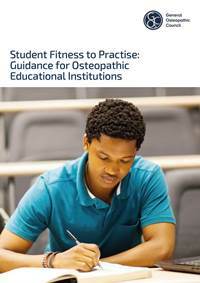 We publish guidance for osteopathic students and osteopathic educational institutions on student fitness to practise and the management of health and disability. 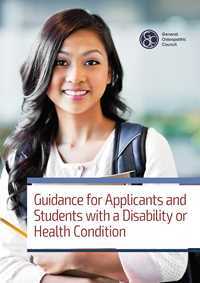 Click on the cover image to download a document. 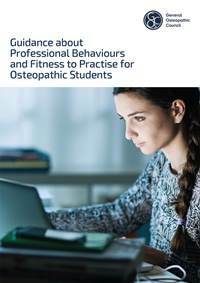 The purpose of these guidance documents is to ensure the appropriate and consistent management of behaviour that indicates that students may not be fit to practise.